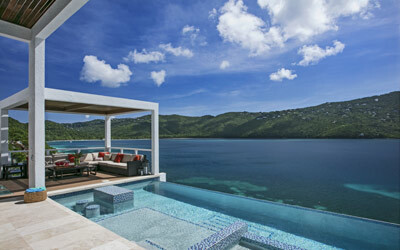 From presidents, to rock stars, celebrities, olympians and world-class athletes - Sand Dollar Estate on beautiful Magen's Bay in St. Thomas has welcomed thousands of guests through it's doors. A world class get away awaits - read just a very small sampling of the numerous comments our guests have made over the years. "Thank you again for a much needed and welcome retreat into your beautiful home in this wonderful place." "Thank you so much for a great Thanksgiving vacation! Your house is beautiful." "This is a spectacular place. Thanks for your hospitality and for a great four days." "This is an amazing house with great staff. What a way to celebrate a great Olympic journey. It has been an incredible vacation, and as we make our ways home today, we all wish we were still in St. Thomas." "It doesn't get much better. Thanks so much. We and our children had a great time." "What can we say! What a beautiful place for Renee & Tim's wedding. Thanks for all your help." "Back again & enjoyed it just as much as last time." "The nicest most memorable vacation of our lives. What a place for kids." "I hope heaven is a lot like this. You have a wonderful corner of the world." 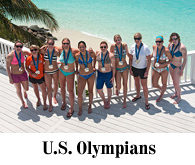 "An unforgettable experience and worth all the "Sand Dollars" in the world!" "Thank you for an awesome vacation. Our stay here was the best family vacation we ever did. The house was ultimately the best! Beautiful with lots of room for everyone. We plan on returning and telling other friends of this awesome experience." "Perfect setting for our honeymoon! Loved the views and snorkeling!" "St. Thomas is perfect for a vacation - lots of restaurants, good shopping, and trips to other islands. Thanks for a great stay, I'll be back!" "Eight of us came to stay - four couples on a holiday. We had 9 wonderful days of fun & sun - Your villa in our book is #1. We at and drank, we hardly stopped - the champagne corks always popped. 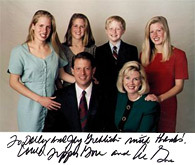 All good things we know must come to an end - with Weight Watchers and Betty Ford just around the bend." "We had a superb time at Sand Dollar! This is one incredible vacation home. We wanted for nothing - great family get together - fabulous sunshine, sunrises and sunsets - water so turquoise and serene. We all had a wonderful time!" "Truly heaven on earth! We have been spoiled - a public beach will never do after 7 days of enjoying our own gorgeous section. A real VACATION!" "We'll never stay in a hotel again! We had an absolutely fantastic time - enjoyed the spacious accommodations, spectacular sunsets, private beach, sparkling pool - it was perfect. What exceptional comfort, peace and privacy. We'll surely return as soon as possible. In the meantime, we'll be dreaming of this paradise!" "How many colors of blue can you name? How many fish can you swim with at one time? How big can fan coral grow? How can you get one non-swimmer into a coral reef and love it? How can you get two pre-teens to enjoys each other's company? How can you get two very in-love couples to fall in love all-over again? The answers to these questions and more were found here! Thank you so much." "What a fantastic time in a magical setting. All 15 of us had a vacation for the memory books - great stories and laughter on the deck at night; perfect weather in a beautiful setting. Throw in the sea turtles, iguanas, humming birds and comfy furniture that made Sand Dollar feel like home and it all adds up to a vacation we will be talking about for a lifetime! Thanks for sharing such a special place." "There is nothing better than this! The house is so beautiful - absolutely wonderful! The beach is outstanding, nothing like having your own beach just steps away. We took the ferry to Trunk Bay in St. John and did a bit of snorkeling and did some shopping in Cruz bay. We had jet skis delivered right to the beach here and took an all day boat charter to Tortola and Virgin Gorda. We definitely will be back!" "Thank you for a fantastic time in this beautiful home. Our 3 small children became little fishes in the calm, beautiful water of Magen's Bay. We always had to coax them out of the water by promising more water time after their naps. Our father swore to catch at least one fish (& ultimately caught a snapper - very good!). Our sister's tan got darker by the minute. Our mother made the sand and water her own personal spa. And we loved every minute of it!" "Our party of 12 had a great time! The "little" boat was a wonderful treat, we enjoyed our day trip to St. John also. The staff here are fantastic, we'd love to be back someday!" "What can I say! A fabulous home! We came to St. Thomas for a family wedding. Sand Dollar was the place to be. Beautiful home, weather and fun in the sun. Walter was a huge help and important part of our trip's success." 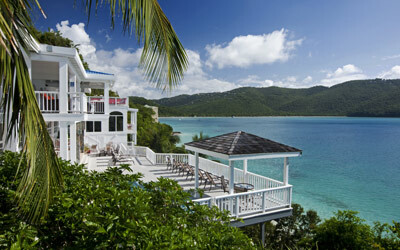 "Your home and location in Magen's Bay are breathtaking. You've thought of every detail to make a family comfortable & welcome. The wedding was amazing and will be remembered always. Walter and Bob have been so helpful and friendly - thank you so much!" "We had the most beautiful wedding, with the most beautiful bride in the most beautiful place in the world! It was the most incredible experience to share the week with family members and new family members! What a tremendous gift this week has been!" "This is alot of space for two people - we loved it sooo much. We can't thank you enough for sharing it with us. As many have said before, there are not enough words to say what a blessing this is!!" "Thank you so much for sharing this incredible home with us. it truly is the most memorable family reunion we've had. We've rented other homes in Hawaii and Lake Tahoe, CA and Sand Dollar tops all of them. You've been such a gracious host and all the appointments, amenities and overall layout of the home are ideal for our size family. We had so much fun discovering all the little spots to sit & read or play dominoes. The new gym is beautiful and we happily took advantage of it. We adore the beautiful lower two decks - there was a space for everyone. Thank you again for opening up Sand Dollar for all of us who now consider it our special home away from home."